A process mindset is simply the ability to see ‘how’ the organization accomplishes work combined with understanding the alignment between the ‘how’s’ throughout an organization. This mindset may seem obvious on the surface. However, it requires a strategic perspective, a flexible and tactical approach, and being operationally respectful in managing processes. In your experience what’s the biggest struggle for managers when implementing or sustaining a framework? Organizations are in a constant state of flux and consequently there are many changes throughout the development of any organization. Adapting to a moving target is one of the biggest struggles of management in general and process work is no exception. For example, managers must adapt to changes in focus due to conflicting priorities and executive sponsors. Hence managers must be both tenacious and flexible and find ways to keep going despite the shifts in priorities to help them achieve extraordinary improvements in cost, quality, speed, profitability, and other key areas assigned to their portfolios. 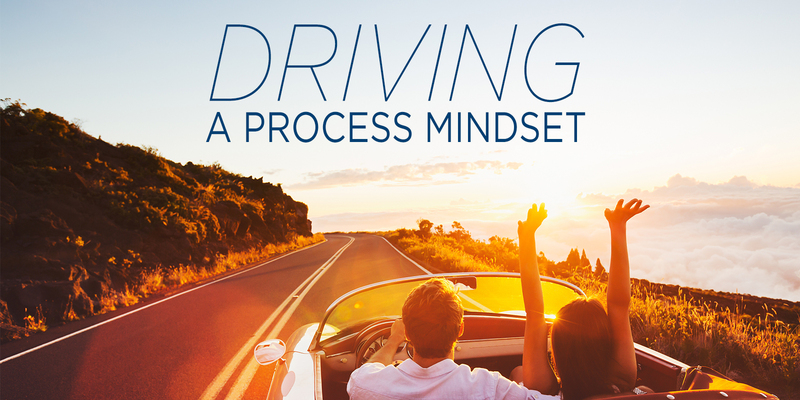 Conversely what’s the biggest boon for managers if they shift to a process management mindset? Organizations must understand that the work of introducing and sustaining a process management mindset is a marathon, not a sprint. However, if the organization does make the shift managers gain a more uniform and consistent approach to their processes, process work is more transparent and efficient for the organization and its customers, and the organization will deliver a better customer experience. This means that all employees will be accountable for process management. Hence, managers must be encouraged to sustain this mindset in their daily operational tasks and seek the support of individual contributors with incremental improvements. What change management tactic(s) tend to work best for sustaining process efforts? There are a lot of change management tactics out there ranging from structured communication templates to peer-led engagement programs. However, Evelyn stressed three simple tenants to help process managers achieve their goals. System thinking – Always examine the interactions between components. Be aware of corporate strategies and understand how key elements align to achieve the desired goals. Flexibility and patience – Priorities, people, and focus will change. Choose to adapt to change as you practice the principles of process management. The development of an organization is not always synonymous to the development of one individual, patiently support the efforts through the development curve. To Thy Self Be True! - Consistently apply and uphold the principles of process management as you engage and support continuous improvement initiatives. For more information on this topic and insights on how to address these limitations, check out the case study, or join us on Thursday, October 25th at 12:00 p.m. CDT for “The Chicken or the Egg? Change Management, a Requirement for Business Improvement Success”, where Evelyn will discuss how change management beliefs and tactics have allowed AltaLink to sustain its focus on continuous improvement through three major shifts in management.